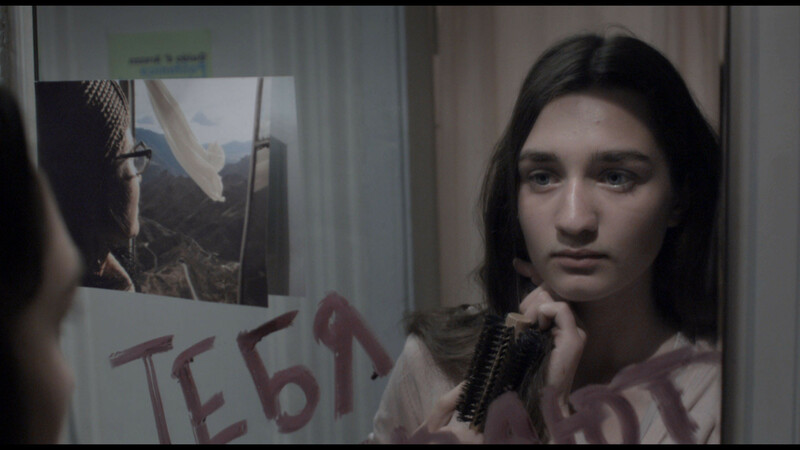 Based on the Armenian Sharakan, a nine-part song that brings us gradually closer to meaning, the film further develops the poetic invention apparent in Maria Sahakyan’s first feature, The Lighthouse. Focusing on the world of a 14-year-old girl, Evridika, who is experiencing the first extremes of adolescent emotion, it makes effective and imaginative use of her private world centred on internet chat rooms and mobile phone recordings. The film’s originality lies in a dream world of images and poetry (Rilke’s poems to Orpheus and Eurydice, and Saakyan’s own), in which the Armenian landscape also plays its role. Her mother’s former lover returns, giving rise to unforeseen consequences and parallels. Her film, says Saakyan, is designed to reflect the different dimensions of love. In 1992, she and her family moved to Russia. In 1996, she gained entrance to the film directing and animation department of Moscow All-Rusiian University of Cinematography (VGIK), Vladimir Kobrin’s workshop. In 2000 - 03, she made a series of mini-films for a multimedia encyclopedia about WWII and a few experimental short films. Maria graduated in 2003 with a degree project The Farewell, which was premiered at Rotterdam IFF in Europe and Telluride IFF in USA. In 2007-08, Maria started developing the project Gumry1946, which is telling personal stories from Armenian people and also started writing the script of I’m Going To Change My Name, which was awarded by B2B, Belgrade, DAB at the Golden Apricot IFF and was selected to participate in the TorinoFilmLab Development programme 2009.